What makes humans human? What separates a chihuahua from an eggplant? We know factually and from a scientific point of view that it is the genetic make up within their DNA that makes a chihuahua a chihuahua, and that makes a human a human. But now scientists in America continue down the transhumanism trail, a very slippery slope indeed in changing human DNA. It is of course for a good reason...in the name of curing diseases that it means to transform, transmutate and transition humanity from the children of men to the children of something well, not exactly human. 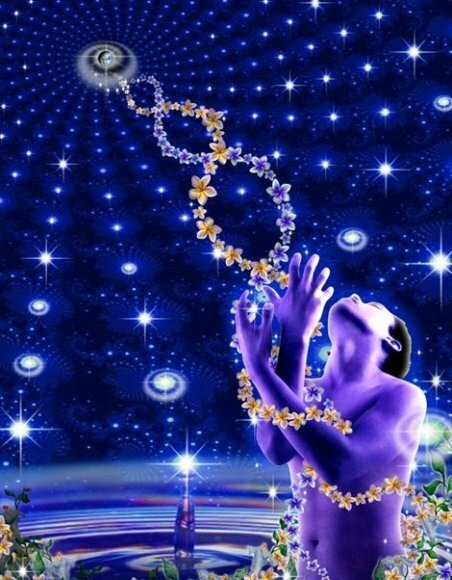 "If a person takes this DNA upgrade his DNA will become altered. Yes, he will have no diseases for 500 years or more. Yes, he or she will live and all this, but the problem is you are no longer human. You become Nephilim and that’s why the Judgment in the Book of Revelation is exactly the same as Genesis 6. There’s a correlation between the two." Humanity is on this threshold today, both in terms of the technology to carry out a "Mark of the Beast" type implant, and as noted in the featured article, in terms of changing human DNA. -W.E. American scientists have attempted to modify the DNA of human egg cells using a new gene-editing technique that could eliminate inherited diseases from subsequent generations of affected families, The Independent can reveal. However, the development of a simple gene-editing technique which can alter human DNA with extreme precision has raised the prospect of it being used in the future to help couples affected by inherited diseases who would like children free of the family mutations. everal teams of researchers around the world are believed to be working on ways of modifying the chromosomes of human egg cells with a view to moving towards “germ-line” gene therapy, as the process is called. Germ-line refers to the “germ” cells – sperm and eggs – that pass on genes to future generations.